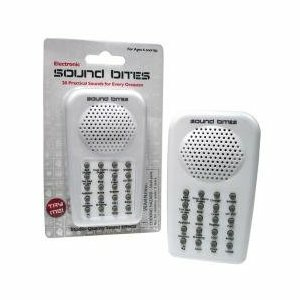 This electronic gadget provides 20 practical sounds for every occasion, including bed springs, car crashing, and breaking glass. For ages 6 and up. Requires three AG13 button cell batteries (included).